According to preliminary reports, cargo inspection equipment on the Russian side went out of order. Russian controlling bodies have not been allowing lorries cross the border from Ukraine's Kharkiv Region at the Nekhoteyevka car checkpoint for three days, the State Border Service of Ukraine has said on its website. "According to preliminary reports, cargo inspection equipment on the Russian side went out of order. Therefore, most vehicles return and head for other checkpoints," it said. Cargo vehicles have also been queuing in other sectors of the Russian-Ukrainian border, including in Sumy Region. 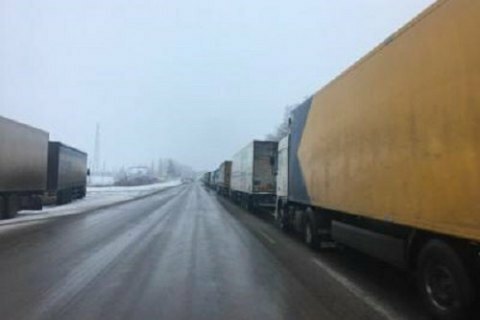 On the evening of 18 February, there was a line of 100 cargo vehicles at the Hoptivka checkpoint, which Russian border guards did not allow to enter. Some 100 cars more returned to Ukraine to take another route.